NATURAL RESOURCES: This wilderness is dominated by the mountain range for which it is named. The spine of the Dead Mountains runs north to south and is a jagged, steep, rust-colored range crowned by Mount Manchester at 4,000 feet. The mountains give way to sweeping bajadas that gradually slope toward the Piute Valley in the west and the Colorado River on the east. This wilderness area encompasses the jagged, steep, rust-colored Dead Mountains and the alluvial fans sweeping to the west towards Piute Valley and east towards the Colorado River. Centered in the northern half of the wilderness is its highest point, Mount Manchester at an elevation of 3,598 feet. A major wash transects the wilderness and Piute Wash borders the wilderness on the west. 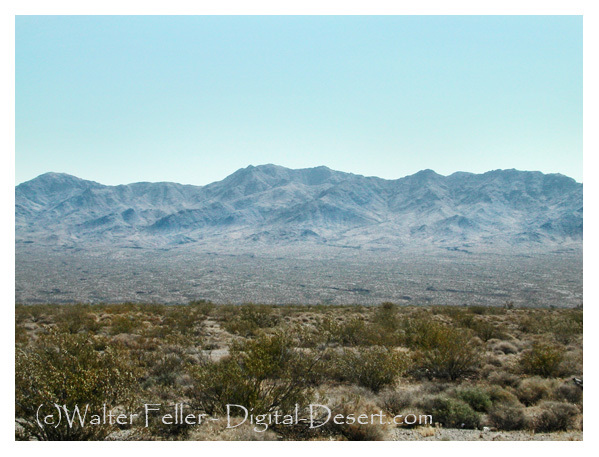 Vegetation is predominantly creosote bush desert scrub and desert wash scrub. The northern most occurrence of smoketrees in the California Desert Conservation Area (CDCA) is found within the area's washes. Wildlife is typical for the Mojave Desert; including a small herd of bighorn sheep, coyote, black-tailed jackrabbits, ground squirrels, kangaroo rats, roadrunners, quail, prairie falcons, red-tailed hawks, golden eagles, rattlesnakes, and several species of lizards. The eastern and northeastern portions of the wilderness provide critical habitat for the threatened desert tortoise. ACCESS: A popular access to the Dead Mountains is to hike south from the segment of the Mojave Road that parallels the Nevada State line, which also forms the northern boundary of the wilderness. To locate the Mojave Road, go approximately 16 miles north from Needles, California on River Road (PEW Road on 7.5 maps). Turn west at the rock cairn and travel up the wash.